Home > Printable Coupons > Johnsonville Coupons | Smoked Sausage Only $2 at Kroger! 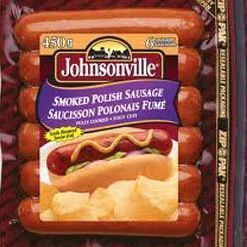 Johnsonville Coupons | Smoked Sausage Only $2 at Kroger! Here are two great new Johnsonville coupons today! Johnsonville Smoked Sausage is on sale for $3 at Kroger this week. If your store doubles, you can pick it up for just $2 with the coupon below! If not it will be $2.50, still a great deal! Also check out this new printable for breakfast sauasage!